This season, fashion designers continue to mine the 1970s for inspiration, looking to the hedonistic, hazy time of disco, in all its glitzy exuberance and bohemian splendour. High glamour prevails, as sequins, silver frills and dramatic flared silhouettes populate the A/W17 collections from the likes of Saint Laurent, Balmain and Dolce & Gabbana. 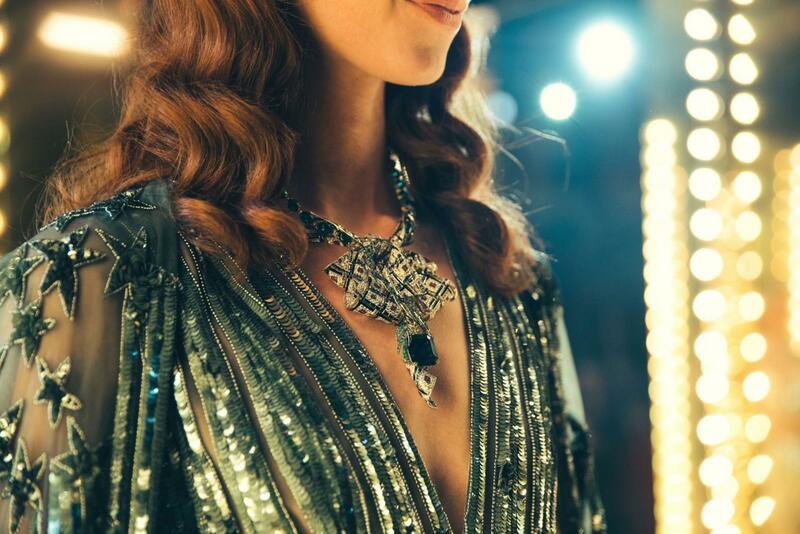 A piece of statement jewellery is a versatile, modern way to effortlessly embrace the decadence of disco this season, be it by slipping on a swishing set of chandelier earrings, or updating eveningwear with a swinging pendant necklace or showpiece cuff. These sparkling power pieces create instant allure, whether paired with cashmere or a cocktail dress. Step forward, Jessica McCormack’s scintillating new collection, which takes its cue from the fabled glamour of the Studio 54 era. 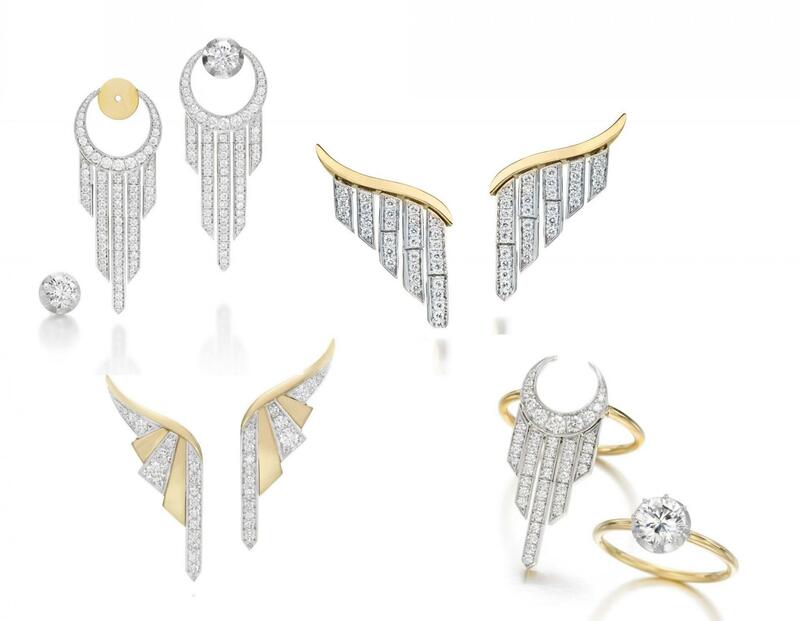 Coined Trip the Light Fantastic, wing-shaped ear climbers and lustrous fringes evoke a 1970s aesthetic, crafted in polished yellow gold with glittering white diamonds. 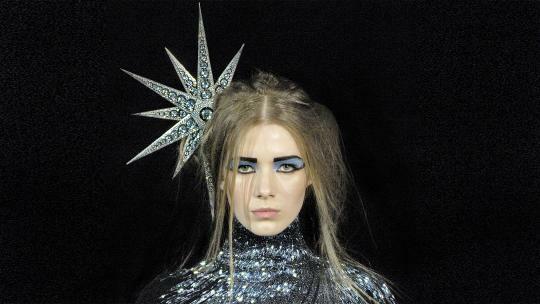 “I wanted the collection to be high-glamour but with a subtle sensibility,” says McCormack. “Pieces that could easily work with your everyday wardrobe and which moved in harmony with the body, like they are dancing." 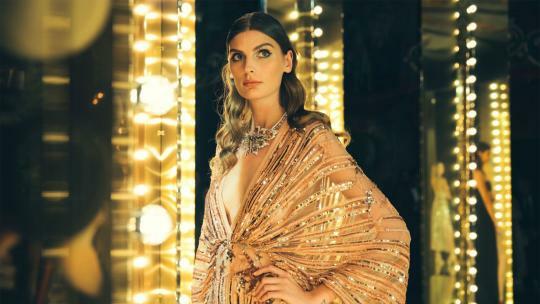 Make like Elizabeth Taylor and decorate your décolletage with weighty sautoirs and neck-clinching chokers, with options ranging from Chaumet’s dramatic new high jewellery collection to Messika’s multi-fringed showstopper, which offers all the sparkle of a disco ball. Pippa Small’s Turquoise Mountain diffusion line glimmers with oversized gold cuffs, tasselled necklaces and cascading earrings that would be right at home on the dancefloor at Studio 54. Earrings are big this season, figuratively and literally, dropping and dangling from every nook and rook. 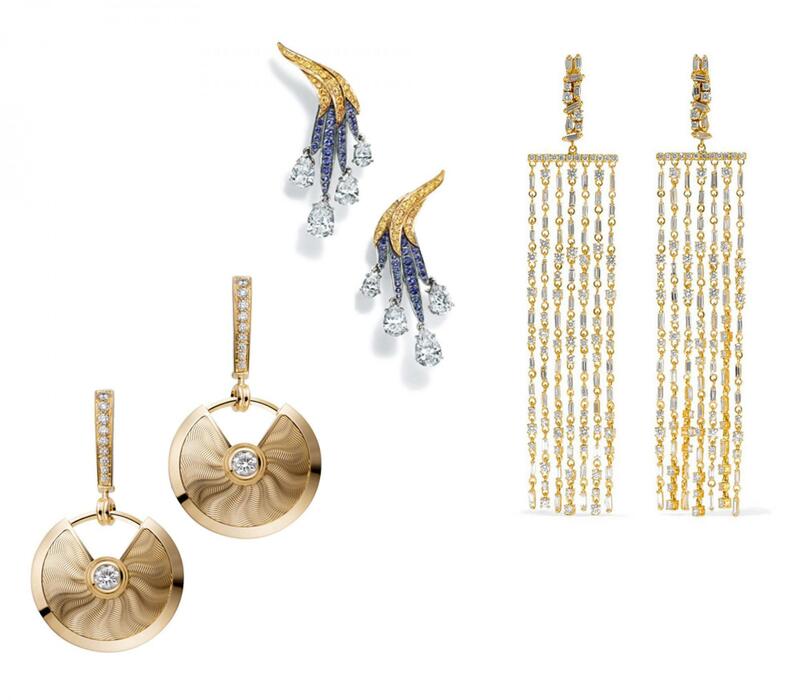 Amrapali offers seductive, ’70s-inspired swirls while diamonds go disco at Diane Kordas, dotted on hoops and geometric designs. Continue the ear party with Suzanne Kalan’s elegant drop designs, strung with shimmering chains. Seventies stalwarts like Bulgari continue to hold court, sparking Saturday night fever with spectacular new Serpenti Seduttori jewels, set with vibrant pink tourmalines. Van Cleef & Arpels’ Alhambra collection, a hallmark of the 1970s, remains hugely popular and is available in a spectrum of shimmering hues. 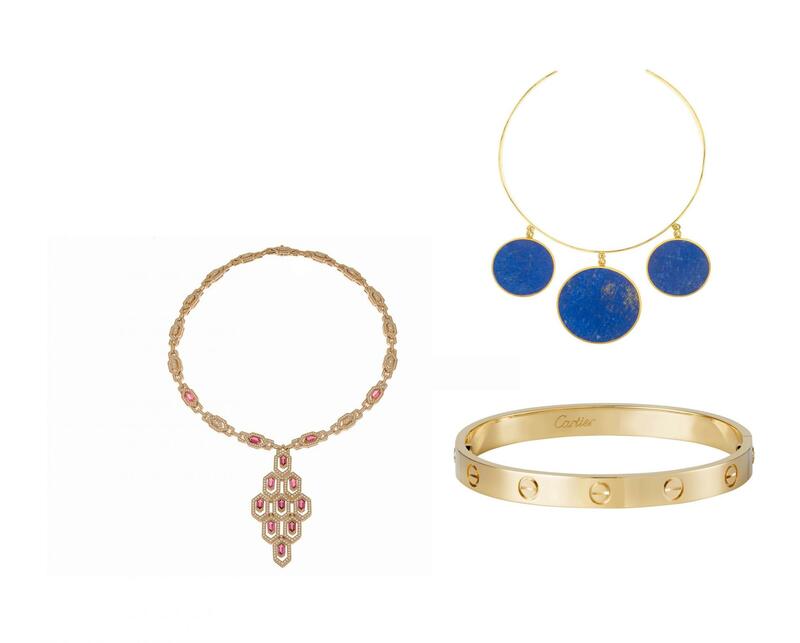 Embrace bangles in abundance, stacked up the arm, or add a punch with a single statement cuff. And what would a reference to the 1970s be without highlighting the era’s greatest enduring jewellery icon – the seminal Cartier Love Bracelet, created by designer and Studio 54 regular Aldo Cipullo in 1969? 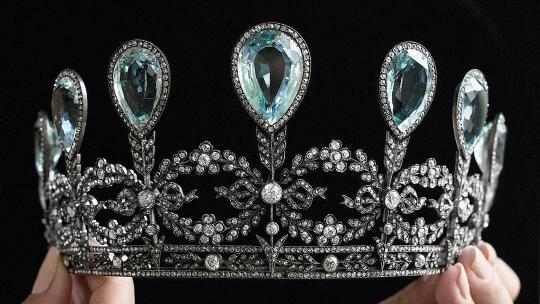 Nearly 50 years on, it remains a gleaming symbol of romance and timeless style. See you on the dancefloor.